(NORTH BAY, ONT.) 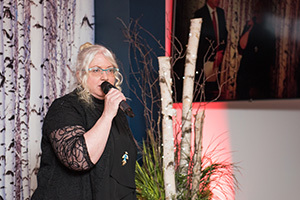 – Canadore College celebrated its strong connections, shared history and traditions at the annual Presidents’ Club dinner and Alumni Hall of Fame celebration last Friday, hosted by the Canadore College Foundation and Canadore Alumni. The joint event welcomed over 150 industry and community supporters to help raise money for student scholarships and celebrate distinguished alumni carrying out significant contributions across the world. Now in its fifth year, the 2019 Presidents’ Club dinner raised more than $42,000 for student scholarships. This year’s inductees were Carey Bond, Maureen Brazeau, Kevin Frankish, Ernest Matton, Brenda McLay, Kevin Wassegijig and Brian Winkworth. CAREY BOND – Retired president of Sikorsky Global Helicopters and Chief Marketing Officer and graduate of aircraft maintenance (1981) and helicopter pilot training (1984) programs. Bond began his 30-year aviation career in the remote regions of northern Canada where he flew and maintained multiple types of aircraft. He joined Sikorsky Aircraft Corp. in 2005 where he held positions as vice president of corporate strategy and strategic programs before becoming president where he led the creation of key strategies that helped transformed the company. Bond currently serves on the boards of several world-class aerospace companies including PZL Mielec Aircraft in Poland and Shanghai Sikorsky Aircraft in China. 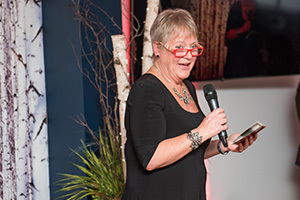 MAUREEN BRAZEAU -- Founder and CEO of Rebuilt Resources Skills Development Inc. in North Bay and alumna from the developmental service worker (1985) and alternative dispute resolution (2000) programs. Brazeau is a strong believer in community and helping others. She is an active participant at charity events and an avid runner, running marathons and races locally and all over the world. Brazeau has also been recognized and nominated for the RBC Women of Influence awards. 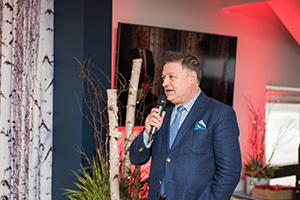 KEVIN FRANKISH – Retired host of Citytv’s hit Breakfast Television show and graduate of the television broadcasting program (1984). Frankish is considered a pioneer in the broadcasting industry, helping to grow Citytv’s hit weekday program to one of the most-watched morning shows in the country. He has been recognized as ‘TV Personality of the Year’ for 10 consecutive years. Frankish has given back to dozens of charities and worthwhile causes over the years and is a strong advocate for mental health. ELDER LITTLE BROWN BEAR, ERNEST MATTON -- Manager of Indigenous Culture and Aboriginal Healing Program at the Michael Garron Hospital in Toronto and alumnus of the drug and alcohol counsellor program (1995). Elder Little Brown Bear, is a Métis healer who blends Indigenous teachings with mainstream Western practices in an award-winning approach to addictions treatment. 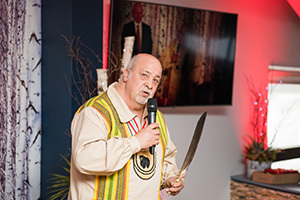 Matton’s accolades include Investiture to the Order of Ontario, the ‘Difference Makers’ award from the National Centre for Addiction and Mental Health and the Governor General's Sovereign Medal for Outstanding Indigenous Leadership. He also received a 2018 Colleges Ontario Premier’s Award for Outstanding College Graduates for his innovative community service programming. BRENDA MCLAY -- Owner and Operator of Near North Laboratories in North Bay and graduate of the environmental biology technology program (1988). 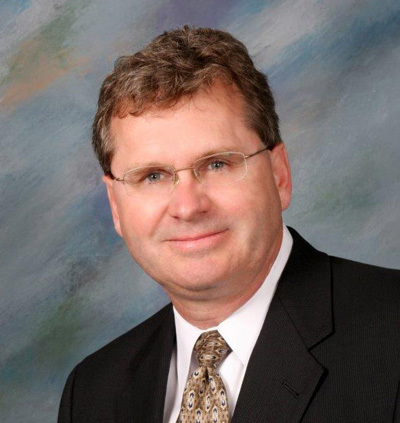 McLay has been an active member on Canadore’s program advisory boards for the environmental technician and small business programs. She has also served as a director of the Canadian Association for Laboratory Accreditation (CALA) Board and evaluated public laboratories across Canada as a quality lead assessor for the Canadian Association for Laboratory Accreditation Inc. (CALA) for 10 years. The Near North Laboratories received the North Bay Chamber of Commerce Small Business Award (2008) and a Northern Ontario Business Award (2009). KEVIN WASSEGIJIG -- Director of Operations at Wiikwemkoong Unceded Territory and alumnus of the recreation leadership program (1989). Wassegijig has been advocating for equity and accessibility to sport and recreation for First Nations youth, athletes and communities for 25 years. 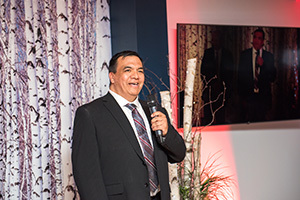 He is co-founder of the Wikwemikong Thunderbirds Foundation, an initiative to support young athletes in pursuing education and sports development. He promotes inclusion and social responsibility through his work with the Ontario Aboriginal Sport Circle, Canada’s Aboriginal Human Resource Council, the Conference Board of Canada’s Corporate Community Investment Council and various college committees. Canadore Alumni also recognized Brian Winkworth with the Dean McCubbin Legacy Award, which is given to an outstanding individual who has made a significant contribution to Canadore College by supporting the institution’s five pillars: student success; program and service excellence; innovation; connection to the community and stainability. Winkworth is the director of programming and community relations at YourTV in North Bay. 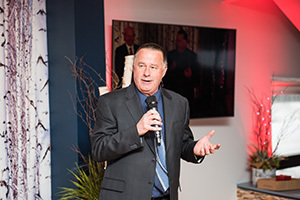 He has over forty years of experience working in the television industry and has a long-standing relationship with Canadore College as a past part-time faculty and program advisory board member. Winkworth was named North Bay’s Kiwanis Citizen of the year in 2013. The Canadore alumni body brings invaluable social and economic benefits to communities around the globe. Canadore’s graduates have contributed more than $240 million alone to the regional economy in higher wages and increased efficiencies and productivity.